Imori pond is one of the most scenic spots in Myoko Kogen. It is famous for the mirror like water that perfectly reflects Mt Myoko. It is an amazing photo spot. Imori pond is situated in the Ikenotaira area of Myoko Kogen. It is very easy to reach by car and bus and is accessible all year round. The pond has a trail running around it that allows you to walk all along the edge of the water. It takes about 10 minutes to walk around and the path is flat and wide so suitable for everybody. Imori pond changes with the seasons. In spring the blooming skunk cabbages look amazing and many people come to the area to see this site. Spring is one of the best seasons to capture the reflection of Mt Myoko in the still water of the pond. 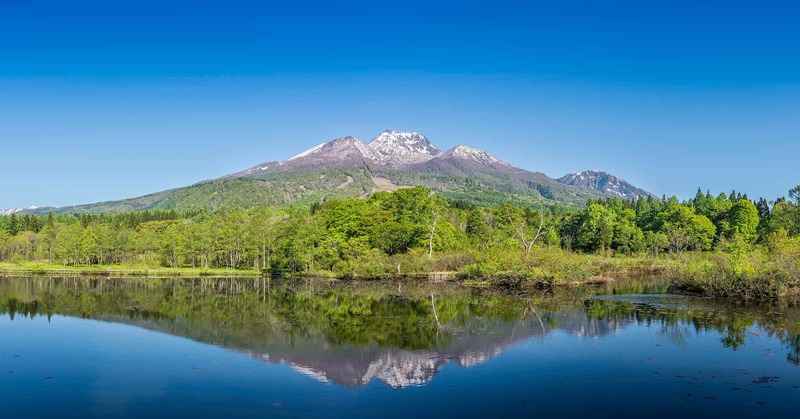 During summer the pond is surrounded by lush greenery and the back drop of Mt Myoko is covered with green trees now all the snow has disappeared. As pond plants start to grow in the water it can become more difficult to capture that perfect reflection of Mt Myoko in the water. Autumn of course brings a lot of colour to the pond area as trees on the mountain and around the pond change their colour to hues of red, yellow and orange. During winter the snow fall covers the lake and paths but the visitor centre next to the pond is still open and you see the pond from the edges of the road, and even climb on top of the snow in some areas. 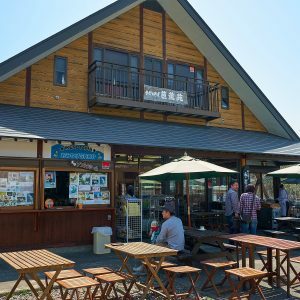 There are 2 places to eat at Imori pond. The first is a place called 芭蕉苑 (Bashouen). This is open from spring to the end of autumn. You can grab some noodle dishes and other light food. They also sell soft cream, so during the summer months you can grab a nice ice cream to eat on your walk around the pond. Thier all you can eat undon noodles and tempura set is highly recommended. 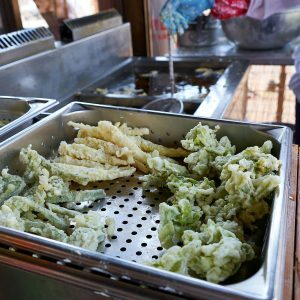 You can try some deep fried wild mountain vegetables. The other larger sit down restaurant is called レストランホンドリス (Hondorisu). You can sit inside at a table and choose from a variety of food and drinks. They have soba noodles, curry rice as well as coffee and ice cream. Hondorisu is closed on Wednesday and during the winter. You can drive directly to Imori pond. You can park at the visitor centre or next to the pond. There are also plenty of buses that run from Myoko Kogen station to the pond. Check here for prices and times. A free attraction and one of the most beautiful in Myoko. This is where you can take that postcard photo. The all you can eat tempura is very popular as is the delicious ice cream. This is a beautiful place to take a walk.